Our community health is our personal health. 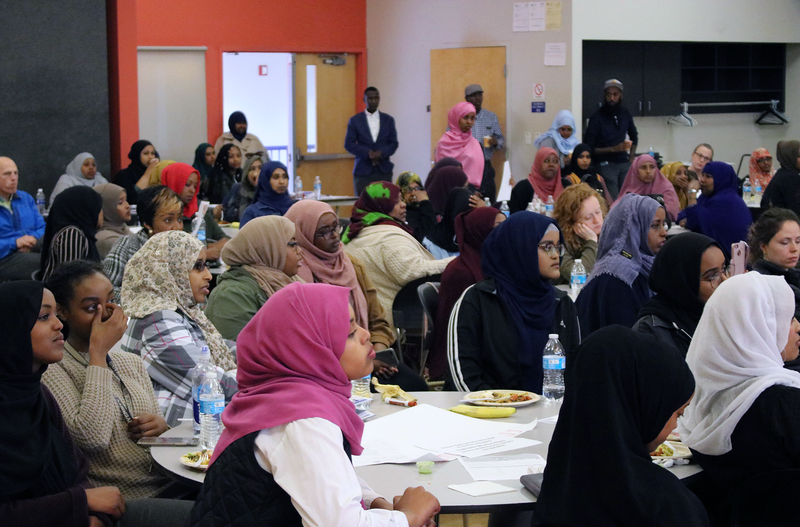 We envision a thriving and healthy Somali community in Washington State. We are Somali health professionals and volunteers concerned about the health disparities that disproportionately affect new immigrants and refugees within King County, with ambitious goals of eliminating and reducing health disparities. CHoW is our Community-based Holistic Wellness Program where we emphasize the spectrum of health: physiological, social and physical environmental, spiritual, and emotional well-being. One of the greatest challenges impacting communities of color and limited English proficiency (LEP) communities in King County is our lack of access to decision-making bodies and lack of meaningful representation in our government. Somali Health Board has partnered with multiple organizations including Kaiser Permanente, Fred Hutchinson Cancer Research Center, and the University of Washington to inform, adapt, and co-lead community based research. The child care health consultation is a Whole Child Initiative (WCI) within a Community- Informed Model category with comprehensive socio-cultural practices as its base leverages best practices developed through thePartners in Community Health Project. Help us help you! Help us improve our community events, resources, and civic engagements; and together reduce health disparities within our community.